The ATSB investigation into the collision with water involving a Eurocopter (Airbus Helicopters) EC120 B helicopter, VH-WII at Hardy Reef in the Whitsundays is continuing. ATSB investigators have interviewed witnesses that were either on board the helicopter or had observed the helicopter drifting away from where it had collided with the water. An underwater search for the helicopter was conducted by the Queensland Police on 26 and 27 March 2018 using side scan sonar radar based on the available information and in consideration of the tide, current and weather at the time of the accident. That search identified a target at a depth of about 60 m, adjacent to Hardy Reef. The target appeared to be consistent with a man-made object. Shortly after this search was conducted, a severe cyclone passed through the region where weather and sea conditions were not conducive to continuing search operations. Several weeks later, the Queensland Police conducted another search at the same location and again identified a target that appeared consistent with a man-made object. The ATSB contracted a professional salvage company that had remotely operated underwater vehicle (ROV) capabilities, suitable to conduct visual identification and capable of attaching a suitable line to facilitate recovery. On 6 May 2018, the ROV was deployed to the target area. The search did not identify the helicopter or a man-made object. The search was further expanded around the target area, but the helicopter was not located. The ATSB requested assistance from other Government resources to help search for the helicopter wreckage. However, to-date no further assets have been available that may assist in locating the wreckage. On about 20 June 2018, personal belongings of one of the passengers were recovered from a beach at Cape Flattery, Queensland about 660 km north-west from Hardy Reef. This further demonstrated to the ATSB the potential distribution of the wreckage. Evidence that may assist the investigation in determining factors that may have contributed to the accident include the helicopter structure, fracture surfaces, the engine and airframe components, and electronic non-volatile memory within avionic components. The ATSB has considered the value of recovering such components after the prolonged period in a salt water/coral environment and have concluded that it is unlikely that these components would now render valid evidence that may assist the investigation. This class of helicopter does not have, nor is it required to have a crash worthy recording device fitted such as a flight data recorder. Considering the factors and evidence available, the ATSB has suspended further search efforts for the helicopter wreckage. However, the ATSB considers worthwhile safety outcomes will still be possible in the absence of the helicopter wreckage. The ATSB is continuing the investigation and is working with stakeholders including the pilot, passengers, operator, manufacturer and regulator. On 21 March 2018, at about 1500 Eastern Standard Time,the pilot and four passengers of a Eurocopter (Airbus Helicopters) EC120 B helicopter, registered VH-WII and operated by Whitsunday Air Services Pty Ltd, departed Hamilton Island Airport, Queensland, on a charter flight. The flight included flying over coral reefs and beaches, then landing on the Hardy Reef floating helicopter landing site (HLS). The HLS (pontoon) was located about 72 km north‑north‑east of the Hamilton Island Airport situated between Hardy Reef and Hook Reef, in the Great Barrier Reef Marine Park Area. After landing, the passengers were to be ferried from the HLS by a small boat to ‘Reefworld’, a large pontoon used to view aquatic life and a base for water sports. This was the second flight that day, by the pilot in VH-WII, to Hardy Reef. The earlier flight was conducted without incident. While approaching the pontoon, at about 1535, the pilot reported noticing a warning message illuminate in the upper vehicle and engine multifunction display (refer to section titled Helicopter information). As this was a high workload phase of flight, the pilot was unable to verify the nature of the warning. However, in response, the pilot elected to conduct a go-around. When the helicopter was at an altitude of about 40 ft (12 m) above the pontoon, the pilot recalled feeling a ‘thud’ and the nose of the helicopter yawed sharply left (anticlockwise from above). In an attempt to arrest the yaw, the pilot reported that he made a number of control inputs, which included lowering the collective and pushing the cyclicforward and to the left. The pilot was unable to regain control of the helicopter and it collided with the water. A passenger reported that soon after impact with the water, the helicopter rolled onto its right side in a mostly inverted orientation. The helicopter was observed in a semi-submerged state for some time after the occupants had been evacuated and was drifting inverted in a northerly direction away from the landing pontoon. The helicopter emergency float system was not deployed. On 26 and 27 March 2018, underwater sonar operations were initiated by the Queensland Police Service in an attempt to identify the helicopter wreckage location. 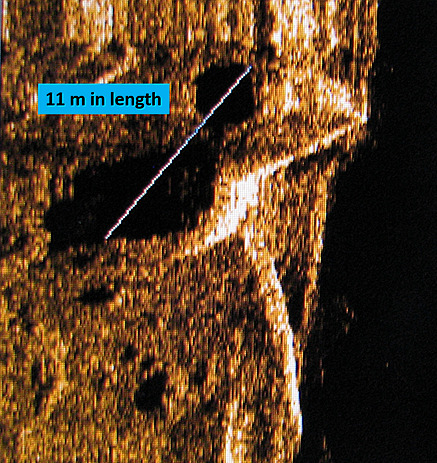 The sonar detected what was believed to be a man-made object in about 58 m of water about 1.2 km north‑north‑west of the landing pontoon. The location was consistent with the tidal flow and wind conditions at the time of the accident. The length of the object was about 11 m, which was also consistent with the length of VH-WII. Injuries: 2 Fatal, 2 Minor, 1 Uninjured. On March 21, 2018, about 1500 local time, a Eurocopter (Airbus Helicopters) EC120B helicopter, VH-WII, sustained substantial damage when it impacted water during an aborted landing attempt on a floating helicopter landing site (HLS) located between Hardy Reef and Hook Reef, in the Great Barrier Reef Marine Park, Queensland, Australia. The helicopter was operated by Whitsunday Air Services Pty Ltd, and had departed Hamilton Island Airport, Queensland, on a charter flight to the HLS. The commercial pilot was uninjured, two passengers received minor injuries, and two passengers were fatally injured. Visual meteorological conditions prevailed.